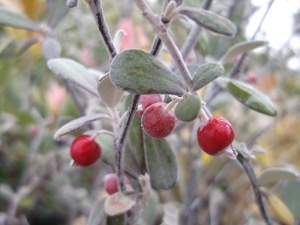 This half hardy hybrid forms a medium sized upright shrub with grey-green leaves with downy underside. 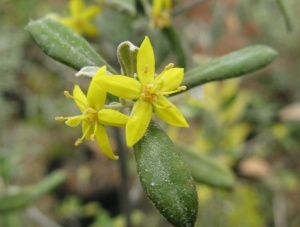 The small yellow flowers are borne freely, followed by dazzling deep red berries. It would make a very fine hedge in mild areas.